Bronze Fitted Cast Iron Construction. Close Coupled to a 2 Horsepower, 3450 RPM, 230/460 Volts, 3 Phase Motor. Ports are Square Mouth Flanged Inches NPT Inlet, 1-1/4 Inches NPT Outlet. Impeller Diameter is 4.88 Inches. Ideal as a result for OEM applications requiring a pump with inlet flange-mounted to tank or other vessel. Flanged and gasketed inlet will consequently adapt to any flat mounting surface. 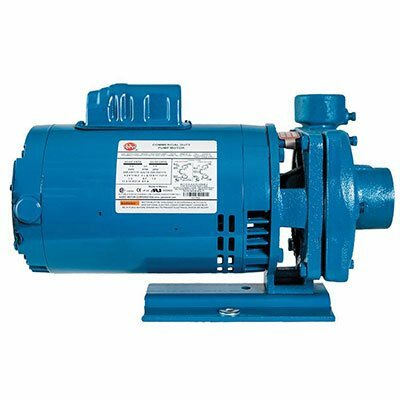 Pump may be installed either vertically or horizontally. 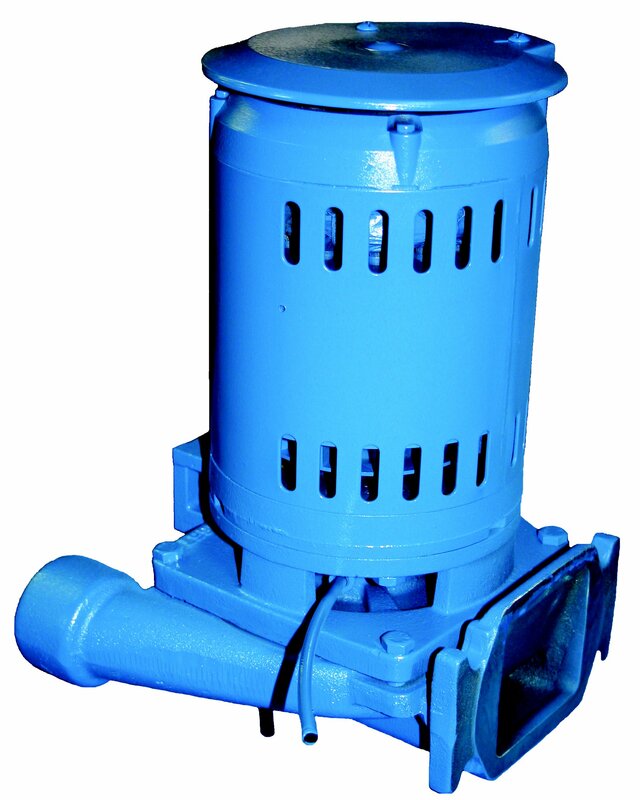 May be used as replacement pump therefore on Burks Series GV Condensate Return Systems. 1/3 thru 3 hp, most of all seven stock sizes. Capacities to 80 GPM (5 LPS) – Heads to 130 feet (39.6 M). Enclosed bronze impeller threaded onto stainless steel motor shaft. Impeller balanced for smooth, quiet operation. Replaceable bronze casing wear ring. Back pull-out design allows servicing without disturbing piping rather pump casing stays in place. Mechanical shaft seal is self-adjusting thus for temperatures to 225 °F (107 °C) and pressures to 150 PSI (1034 kpa). Special seals available for especially relevant higher temperatures and fluids other than water. Tappings provided for venting and flushing seal area. Bronze fitted, close grain cast iron construction is standard. All Iron available cast iron. ODP motors are standard as a result drip cover provided for vertical installation. EVERY pump is factory tested. provides full 3-leg protection. Failure to use correct starter and overloads will void motor warranty. standard mounting flange, one piece threaded stainless steel shaft and ball/ball bearing construction. Please note, voltages may differ as a result from supplier to supplier. In conclusion Call us today to confirm any specification.